The US vs. UNRWA: Who’s the Real Loser? UNITED NATIONS, Sep 7 2018 (IPS) - It is entirely the United States’ prerogative to cut off its voluntary contributions to the UN Relief and Works Agency for Palestine Refugees in the Near East, or UNRWA. In her statements about why the Trump administration has decided to do so, however, Ambassador Nikki Haley misses the mark on who should be grateful for her country’s past largess and whose interests will actually be hurt. Contrary to what Haley said, US funding to UNRWA is not a favor to the Palestinian people or to the Palestinian government. It is, in fact, a favor to Israel. As any occupying power, Israel is obliged, under international humanitarian law, to ensure the welfare and well-being of the occupied population, including maintaining public order and public health and providing food and medical care. These are among the forms of assistance that Unrwa delivers to the Palestinians living under Israeli occupation and as refugees in neighboring countries. Accordingly, when Unrwa fulfills its UN mandate, it is fulfilling Israel’s responsibilities. Nonetheless, Israel retains ultimate responsibility for meeting these obligations. So, if the UN agency is ever unable to continue to provide these services, then Israel will, at least as a matter of international law, resume its responsibility for doing so. 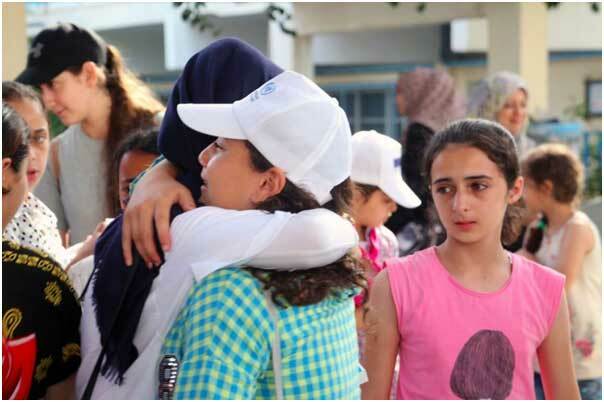 Moreover, when the US generously grants $300 million in annual contributions to help Unrwa heal, educate and shelter Palestinians in the Occupied Palestinian Territory, it is thus adding a stipend of $300 million to its far more generous $5 billion annual contribution to Israel. It is ironic that with the same $300 million in grants, Israel can buy about 10 F-15s or 15 Apache helicopters — US-made weapons — which it uses to make another kind of delivery, bombs and missiles, to Palestine and occasionally to neighbouring countries. Despite the asymmetry of her government’s generosity, Haley demands gratitude from Unrwa’s beneficiaries — the besieged people of Gaza and the millions of refugees in Jordan, Lebanon and Syria but not from Israel — one of the wealthiest and most militarily and technologically advanced nations in the world. As for that peace table that Haley keeps referring to, she should be reminded that Washington appears to have found a faster and easier path to “peace” that dispenses with tables as well as with fairness to, and equality between, the parties. Instead, the Trump administration has chosen unilateral decrees on the final-status issues — not only deciding for the parties but also doing so consistently in favor of one party. So why bother inviting the other party to a table when everything has seemingly been determined: Jerusalem is the capital of Israel; the Palestinian refugees are no longer refugees and therefore no longer have a right of return; the illegal settlements in the West Bank will define the borders of Israel; and Israel is a uniquely Jewish state, although a third of its citizens are Christian or Muslim. The current US policy will not help those who want peace and security for both the Israeli and Palestinian people. It won’t help American standing in the region or in the world at large. It won’t even help Israel. According to Israel’s own military and intelligence officials, it might help the radicals and violent extremists. Did the architects of this flawed policy want to reduce the prospects of peace in the Middle East by design or by default? *PassBlue is an independent, women-led digital publication offering in-depth journalism on the US-UN relationship, as well as women’s issues, human rights, peacekeeping and other urgent global matters, reported from its base in the UN press corps. Whole thing is BS!Israel is not an occupying power!There is no real Palestine! Those idiots hate Israel and the USA!Both countries should let them (Palestinians ) sink or swim on their own,no more help!USA and Israel should not send aid to a people that hates them!